Sleep dentistry at Dental Anaesthesia Associates is very safe. The sleep dentistry techniques used at our practice have, over millions of administrations, shown the same safety record as the administration of simple dental freezing injections. We will explain all related risks inherent in a given medication in our consultations prior to your appointment. In order to keep our patients safe, we strictly adhere to the following in all we do at Dental Anaesthesia Associates. The training and credentials of the doctor and the staff are paramount. Ours are second to none. We have a team of fully qualified dental hygienists and assistants, as well as registered nurses and recovery room staff. We utilize board certified medical anaesthesiologists for our sleep dentistry procedures. The clinic facility must be fully equipped and set up for sleep dentistry. All the necessary components for safe sleep dentistry integrated into our modern dental offices. We have a full recovery bed area, continuously served and monitored by our fine Registered Nurses. We have hospital-caliber anesthetic equipment, and all the necessary monitors and devices, including full emergency capability. We conform in every way to the stringent certification requirements for sedation and anesthesia of the Royal College of Dental Surgeons. Of course, we also think you will find our offices to be beautiful, comforting and impeccably appointed. A large clinical staff is a must. Our clinical staff is very large; far in excess of the numbers required for a typical dental practice. The majority of our team members are dedicated Registered Nurses who are committed full-time to working with our dentists. The best care requires not only the best staff, but also ample availability of professional medical staff to ensure continuous, top-level attention for our patients. We care, and we've dedicated ourselves to helping those who have recognized that they need our special care and services. We do not judge. 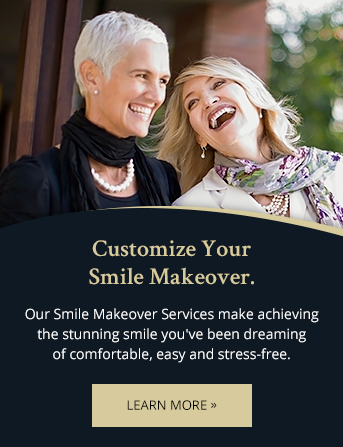 We understand that undergoing dental treatment can be stressful, and we want to do everything we can to alleviate that stress for you. Informed patients are better equipped for success. It's important to us that our patients are well informed about their treatment and sedation options. We know that patients who are well informed and who know what to expect are those who have the most successful experiences with treatment. We encourage you to tell us about your needs and concerns in detail, and ask any questions you may have. We'll listen carefully, and recommend sedation and sleep dentistry options based on your unique needs. For more details about our safety procedures for sleep dentistry, please feel free to contact our office. Over almost 4 decades as a dentist, my main goal has always been the peace of mind of my patients. To this end I strive to provide the highest quality of dental services in a friendly, compassionate manner.